1.Biological control of grubs in the turfgrass. 2.Genomics and research of insect resistance to pesticides. 3.Research advance on the male lepidopteran pheromones. 4.Wingbeat sound of female mosquitoes and its application in mosquito control. 5.Progress in the studies of marine agriactive compound for insecticide. 6.Bionomics of Cotesia ruficrus and its application in biological control. 7.A review on nutrition value of silk worm pupae and its exploitation. 8.The resistance of Bt corn(MG95)to Pseudaletia separata. 9.Ecological distribution of damselflies in Beijing area. 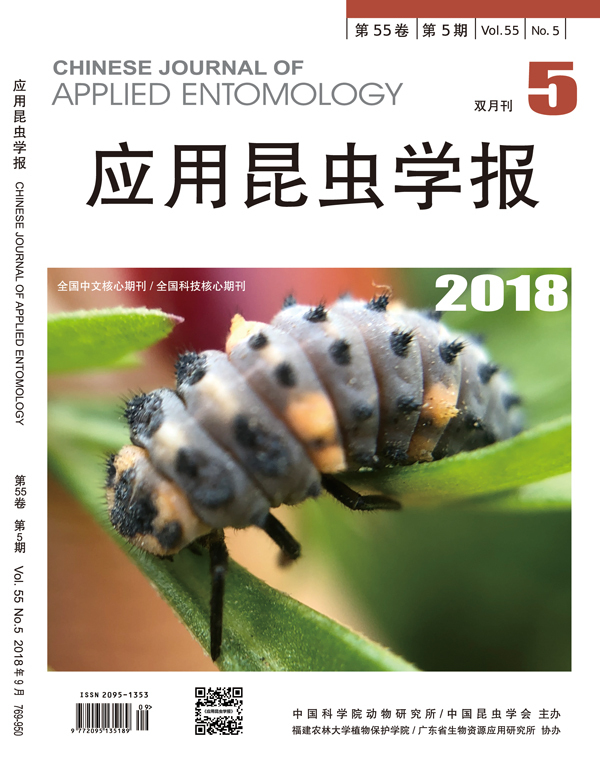 10.Threshold temperature and effective temperature of grape variegated leafhopper, Zygina apicalis nymphs in Xinjiang. 11.Life table of Ephedraphis gobica population in laboratory. 12.Efficacy of the mixture of fenpropathrin and abamactin to Liriomyza sativae in fields. 13.Biological activities of extracts from Artemisia argyi againstPieris rapae. 14.Biological aspects and pathogenicity of beetlederived Beauveria bassiana isolates to Phaedon brassicae. 15.Oviposition behavior of Apocrypta westwoodi. 16.Foraging and pollination insects of Paeonia lactiflora. 17.Suitability of four materials as the oviposition substrata for multicolored Asian ladybird beetle, Harmonia axgridis. 18.Spatial distribution pattern of Eupolyphaga sinensis in rearing pool. 19.Observation on bionomics of Ostrinia furnacalis in Longdong, Gansu. 20.Life histroy of the moth Pantana phyllostachysae and its control. 21.Locusts in Baiyangdian area and their control. 22.The specific composition and damage of lawn phytophagous insects in Northwest Shandong. 23.Biological characteristics and control of Pammene ginkgoicola. 24.Effects of temperature and humidity on the emergence of Liriomyza huidobrensis and L. sativae. 25.Threshold development temperature and effective temperature sum of Byasa alcinous. 26.A artificial rearing method of diamondback moth by Brassica napus. 28.Relationships between termite and mankind. 29.Introduction on entomologyrelated electronic journal resources.